You will need parts from „Electronics” and „Other parts – both casings” sections. Additionally depending on the size of casing you choose you will need parts from „Other parts – smaller casing” or „Other parts – larger casing” section. In smaller casing you will have to remove jacket from Ethernet cable in order to fit it in the external casing. socket of Ethernet cable to TV server enclosure. You can mill holes in Gainta G715 panel using CNC machine (cost < €1). Load this PDF file to it. Alternatively you can print a panel on a 3D printer (cost about €2). Give this STL file to 3D printer, use grey PLA and 90% filling. Printing lines should be parallel to longer edge of panel and outer side of panel should lie on table during printing to be more smooth. You can print them on 3D printer. 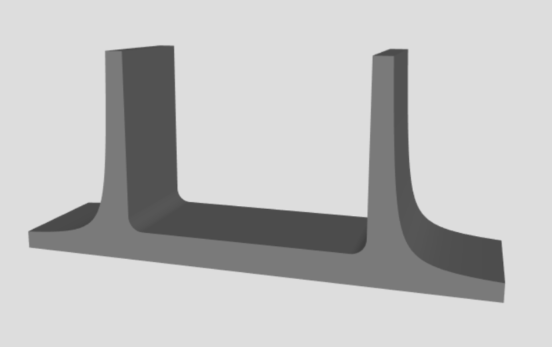 Give this STL file to 3D printer, use grey PLA and 40% filling. Two stands should cost about €2. Fix self adhesive foots to the bottom of the stand to increase friction. If you do not want to perform all steps described in Technical documentation to install the software then you can download the ISO image of the ready-to-use system from https://myserver.opentechnologies.pl/files/tvserver6.5.7z (2.1GB, md5 checksum: bda860136b4f8bfd44a564225f2a38dc. Unpack it with 7-Zip. Write it to the SD card using USB Image Writer program in Linux or similar program in Windows. It will take about 15 minutes on class 10 SD card. Insert the SD card to Raspberry Pi, connect network cable and then connect power adapter. Expand the partition to the entire SD card – connect to TV server by remote desktop or SSH and run sudo raspi-config command in Terminal; select Advanced Options > Expand Filesystem; press Finish and Yes to reboot server. Configure Tvheadend by setting multiplexes, services and channels in your location. You can follow user guide to do it. From now you will be able to normally use TV server as described in the user guide.